Sibiya and Dramat are provisionally off the hook, leaving Maluleke to appear in court on November 12. Criminal charges relating to the 2010 rendition of a group of Zimbabweans to their home country were today provisionally withdrawn against former Hawks head Anwa Dramat and former Gauteng Hawks head Shadrack Sibiya. 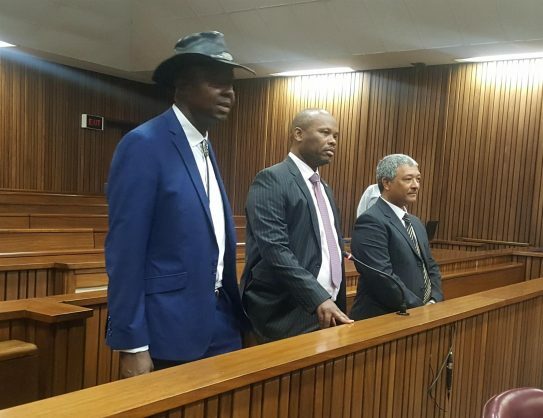 Prosecutor George Baloyi informed the High Court in Pretoria that the National Prosecuting Authority (NPA) had decided to provisionally withdrawn charges against Dramat and Sibiya, but to continue with the prosecution of former top cop Lieutenant Colonel Lesley “Cowboy” Maluleke. He said the state would decide if the case against Dramat and Sibiya should proceed after the conclusion of Maluleke’s trial, which has been set down for a whole term. Maluleke’s trial was provisionally postponed to 12 November for him to make representations to the NPA and to request further particulars relating to the charges. His bail was extended. The charges, which include allegedly contravening of the Organised Crime Act, kidnapping, violating the Immigration Act and obstructing justice, flow from allegations that while Dramat was head of the Hawks, he, Sibiya and Maluleke had illegally handed over Zimbabwean fugitives to the Zimbabwe police after their arrests in South Africa. Dramat was suspended, but resigned in 2015. Sibiya, who now works for the City of Johannesburg, challenged his suspension in the Bargaining Council and in court. His court application to stop his disciplinary hearing resulted in the court finding that former Hawks head Berning Ntlemeza had lied under oath, which in turn led to a successful application by Freedom Under Law to have Ntlemeza removed from office. Sibiya described the provisional withdrawal of the charges as a hollow victory, as the charges would remain hanging over their heads. He said he had always maintained that the charges had been trumped-up and repeated his view that there was no evidence against them and that the state would never be able to prove its case. Sibiya said he believed the NPA never actually intended for their criminal trial to go ahead and that the charges were brought to get them out of office, which was fully achieved. He said he had paid a high price both professionally and personally as the charges had destroyed his career and his reputation and he still owed attorneys and senior advocates huge sums of money as he had to pay out of his own pocket to defend himself against a case that should never have been brought in the first place. Independent Police Investigative Directorate spokesperson Moses Dlamini said they had already recommended as far back as 2015 that the charges should be withdrawn against Sibiya and Dramat.